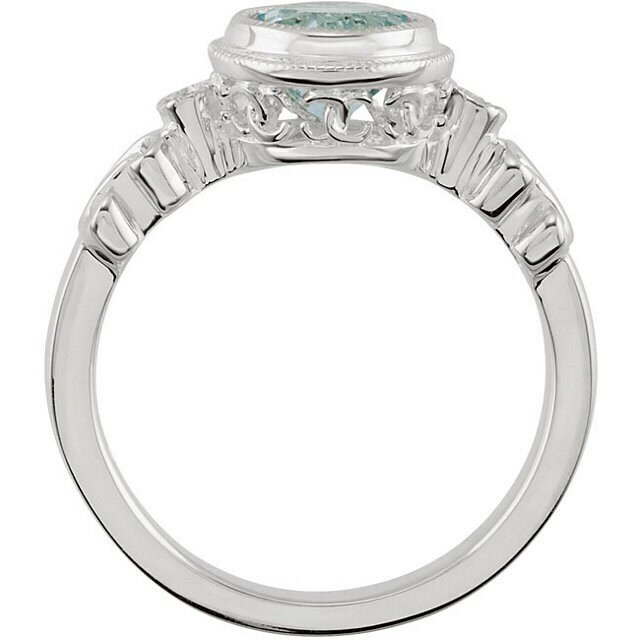 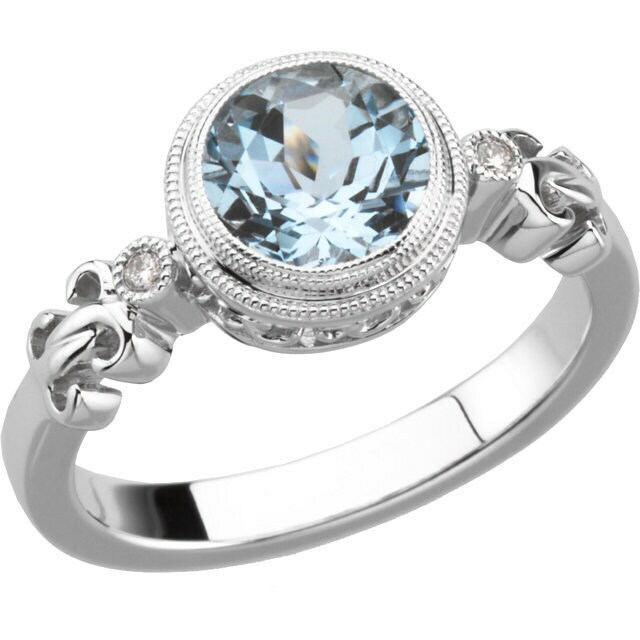 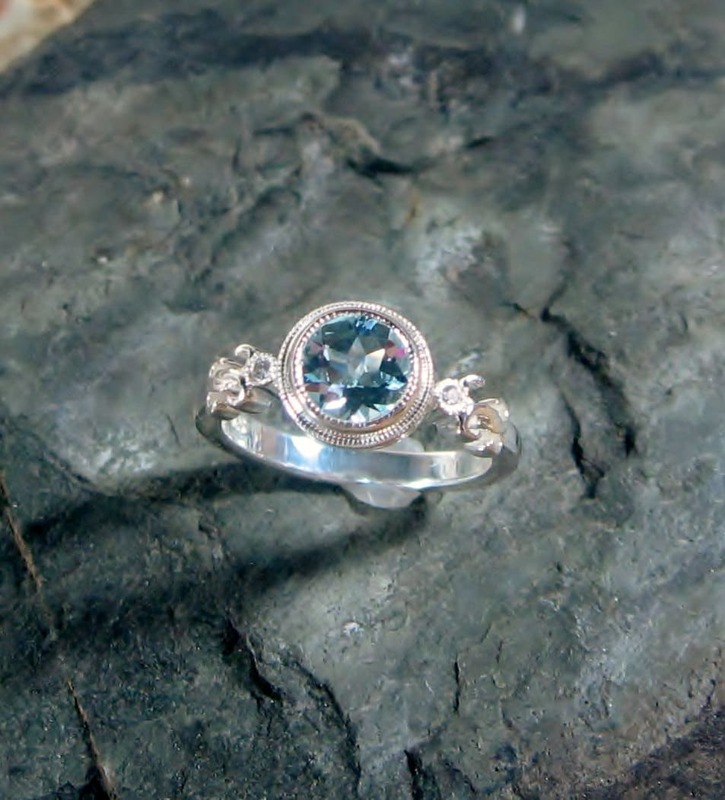 Beautiful genuine 7mm Aquamarine Gemstone flanked by two diamonds on either side. 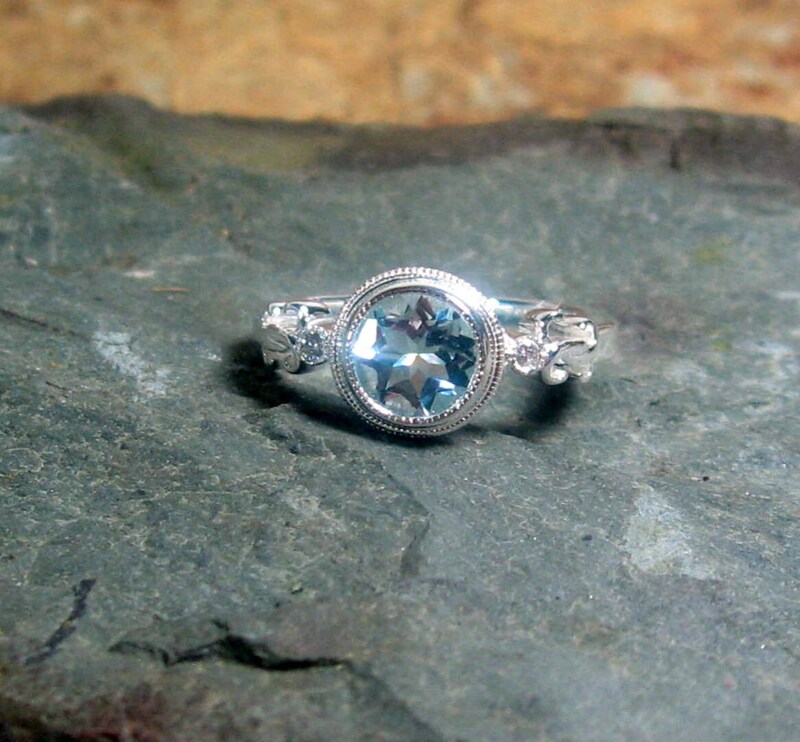 The setting is made in Sterling Silver. 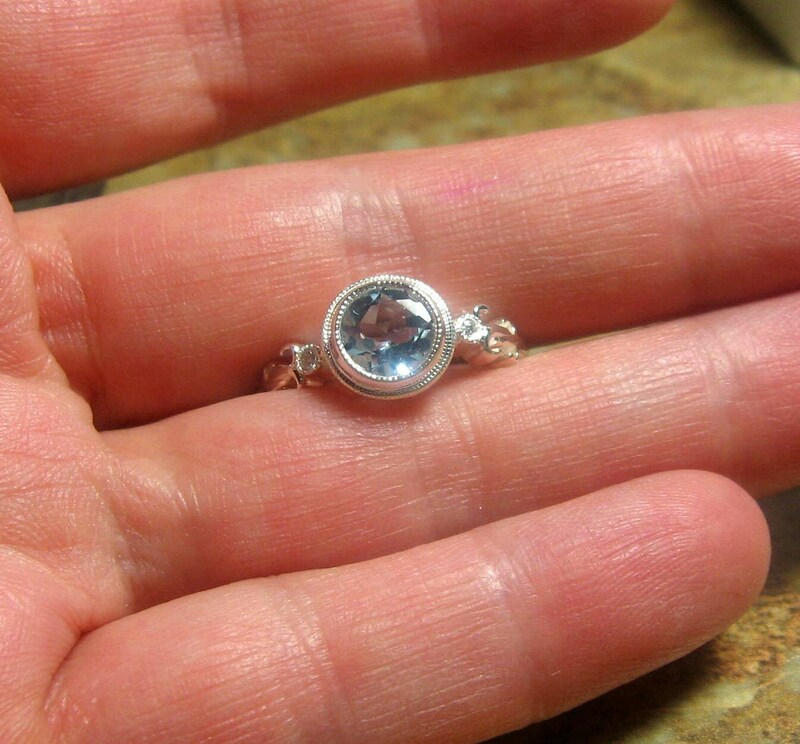 This ring is cast, hand set and polished.